How are we doing and on what should we focus? We would like our profits to improve, but we think we are efficient, and our clients won’t pay higher rates. We believe our competitors are doing better than us, but we can’t say for sure. We believe we have a good reputation and think we are a great place to work, but quality laterals are not pursuing a relationship with us. We believe our compensation is competitive, but we are not sure that we are incenting the right behaviors. If any of this sounds familiar, an objective competitive analysis will help. Cash flow debt, and equity. This analysis may take time, but there is much value in the process itself. A work-life timeline will force partners to evaluate their client relationships, professional contributions, and possible successors. A capacity analysis gauges the firm's ability to meet client demands at the highest level. Performance per hour, client profitability, and achievable profit margin analyses all support a disciplined approach to pricing and workload efficiency. Market-based compensation is a powerful deterrent to defections. Historical performance analysis provides information on consistency and may identify long overdue improvements. Marketing process and cost effectiveness will provide clues to improving marketing results and will guide resource allocation. Healthy cash flow and mature debt and equity policies ensure that capital is available to implement long-range plans. Preparation detail and sample process templates follow. In small and mid-sized law firms, work-life timelines for partners 55 years of age and older often dictate the planning horizon. Demographic comparisons to competitors are objective and provide insight into what clients may be thinking. An age advantage occurs when a firm's or practice group's composition of partners has a 10-15 year succession line. For example, a practice group headed by a 60-year-old partner having a clear succession line to a 45-50-year-old partner is ideal. All client relationships are different and some won't transition, but a solid succession plan with enough time to work is optimal. Firms that have a real age advantage can take a long-term approach and slowly chip away at their competition as they age. 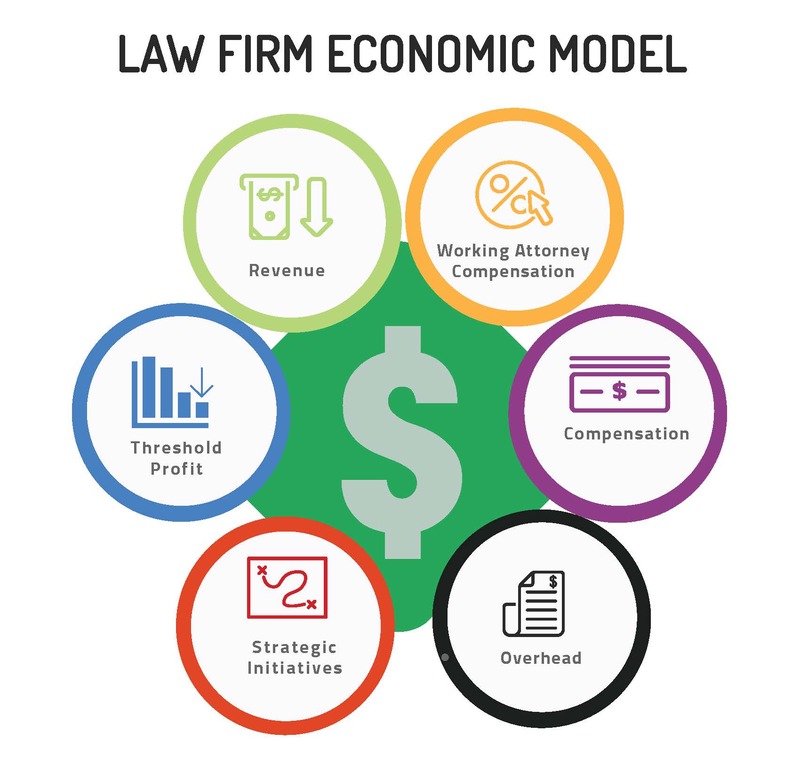 Work-life timelines and demographic analyses allow law firms to create plans to remain competitive and to project a positive future to clients. A capacity analysis is a tool for determining the achievable billable capacity of existing timekeepers. This is an internal benchmark that is influenced by several factors including model hours, rates, realization, non-billable commitments and capability to handle existing work. Comparing model to actual performance indicates workload imbalances, capacity for new work, marketing needs, and over/under staffing issues. 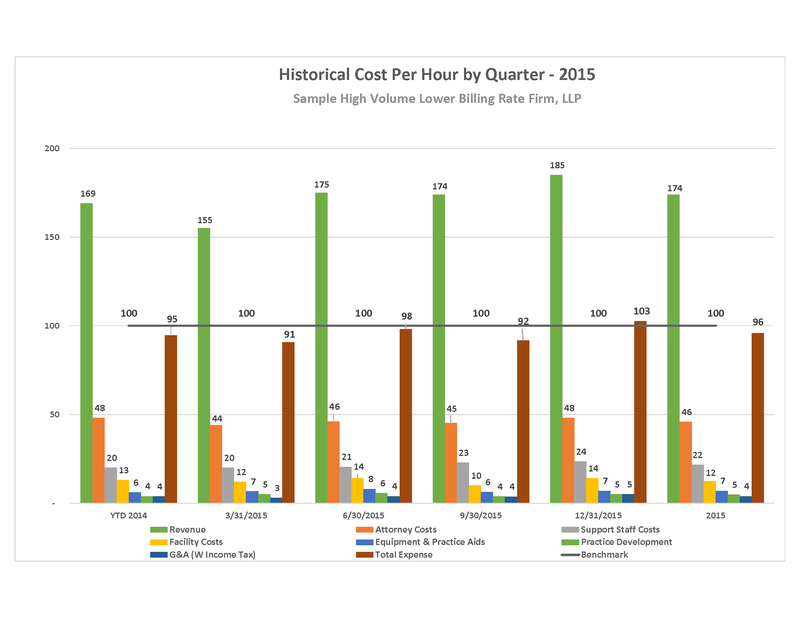 Cost per hour analysis seeks to assign accurately a cost to each hour worked. 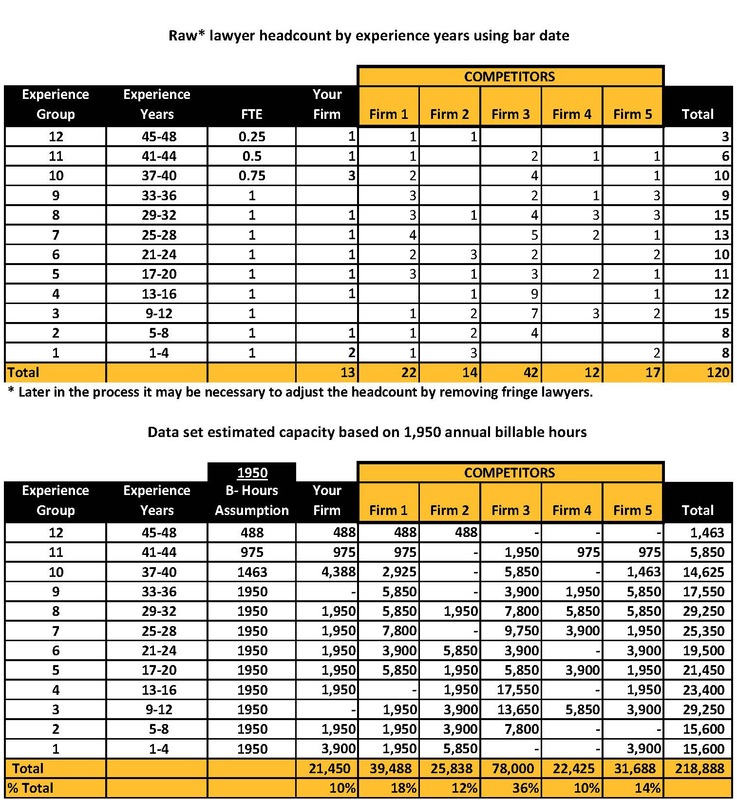 Typical per hour measurements include fee revenue, non-equity billable costs, support staff costs, facility costs, equipment and practice aids, marketing costs, and general and administrative expenses. Cost per hour tools combined with a capacity analysis, realization analysis, and detailed cost reviews will provide reliable indicators of performance improvement areas. An advanced tool for understanding how a firm is performing. The major benefit of this analysis is that it enables a firm to create solutions that are relevant to individual clients, originators, and timekeepers. Client/Matter profitability extends performance per hour analysis to a micro level. Solutions based on this type of analysis take into account the differing types of rate structures, staffing structures and timekeeper efficiencies among various clients. Client/Matter profitability will empower a firm to utilize advanced measurements when pricing client work, evaluating overhead efficiency, staffing efficiency, compensating partners and adjusting ownership percentages. 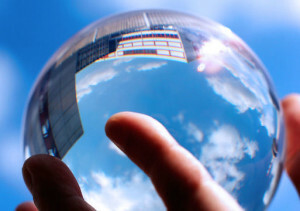 Client Profitability: An Oracle of Truth! Benchmarks, surveys, and market comparisons are useful for indicating how well a firm is doing against a standard set of external norms. We recommend that law firms supplement these external data with a strategic profit analysis. This measurement is an add-on to a client profitability analysis and seeks to isolate individual client revenue opportunities, staffing efficiencies, cost efficiencies, realization opportunities and overhead absorption. 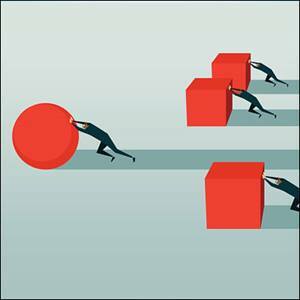 Firms that know how to meet client needs efficiently enjoy a competitive advantage over less informed competitors. Efficient firms can confidently discuss new fee agreements with clients. Strategic Profit Analysis: Does It Ever Make Sense to Cut Price? Historical trends are useful for comparative purposes and to better understand a firm’s present point of view. History also has a role cultural development. 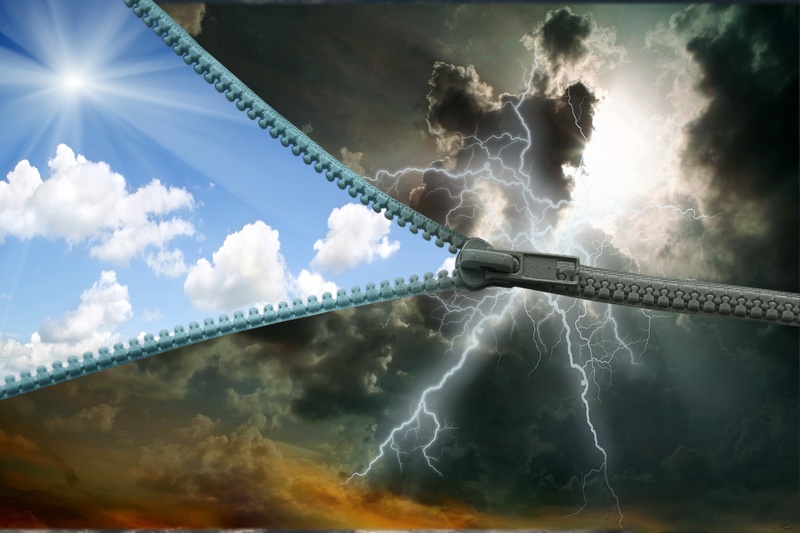 Appropriately balancing historical trends with current market forces and the resulting priorities can be challenging. Changes in compensation, for example, almost always require a bridge from the near past to the present. Historical trends in client engagement may indicate new business potential, performance issues, competitive challenges or even disruptive changes in the market. Firm’s that can pay at market levels enjoy the advantage of diminished partner exits and increased attractiveness to under compensated attorneys in competitor firms. Transparency in the compensation process is also essential to maintaining partner satisfaction. The fundamentals of market-based compensation include paying partners based on profit contributed, efficient overhead and good cash flow. As a general rule, firm’s that can pay partners at least 85% of their added profits are market competitive. While not yet a mainstream in law firm management, certain metrics have been successfully employed outside of the legal industry long enough to be considered reliable. Once adapted to a legal setting, and with some trial and error, these measurements will provide the same analytical benefits to law firms. All of the data needed to compute these measurements may not be readily available, but we may be able to extrapolate it from existing information. Consistent cash flow, sensible debt levels, and proportionate equity are needed to compete effectively over the long term. Healthy firms can implement strategic plans, invest in longer-range opportunities, and are better able to attract profitable laterals. In addition to profitability, aggressive accounts receivable management, properly administered partner drawing and distribution policies, and some level of fixed capitalization is needed. We recommend that law firms honestly evaluate their debt and equity positions to ensure that debt does not become a technique for managing underlying profitability or client quality issues. "Brian is a tremendous asset and resource for our firm. He has assisted up with our business strategy, growth, and compensation plans. His expertise in law firm management has been a great help to us as we grow and transition from a first generation law firm. I think any firm could benefit from working with him, but he is especially talented in his work with small to mid-size firms."